I hate traffic jams and there’s no more predictable one than the Friday arvo crush to get on to the Freeway north out of Sydney. Relentlessly slow, until I discovered Bobbin Head Road and the cut through Bobbin Head. 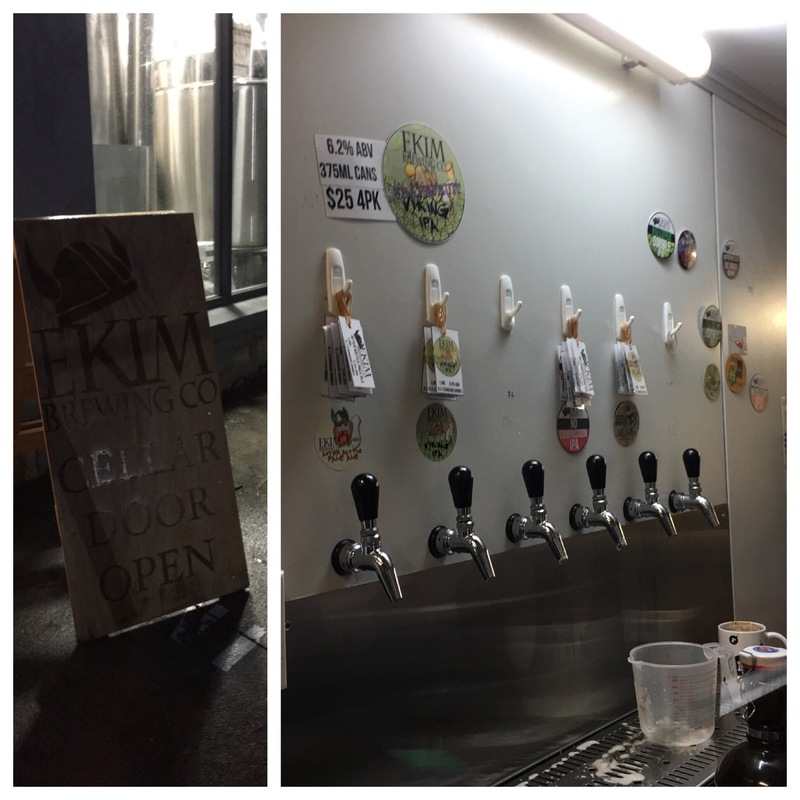 You pop out at Mount Colah on the Old Pacific Highway and fortuitously a few clicks from Ekim Brewing Co and its Cellat Door. 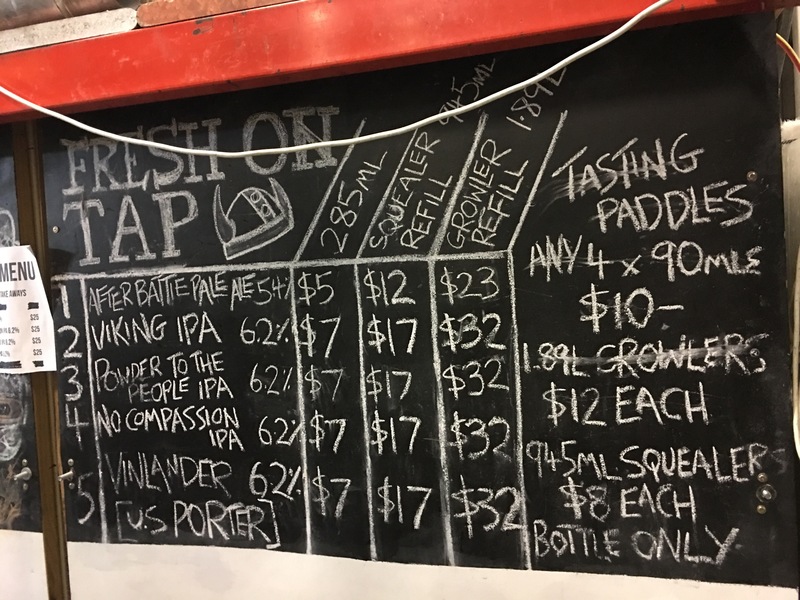 Open on Friday’s between 1 and 6.30pm – it is a good place to take a growler or three. 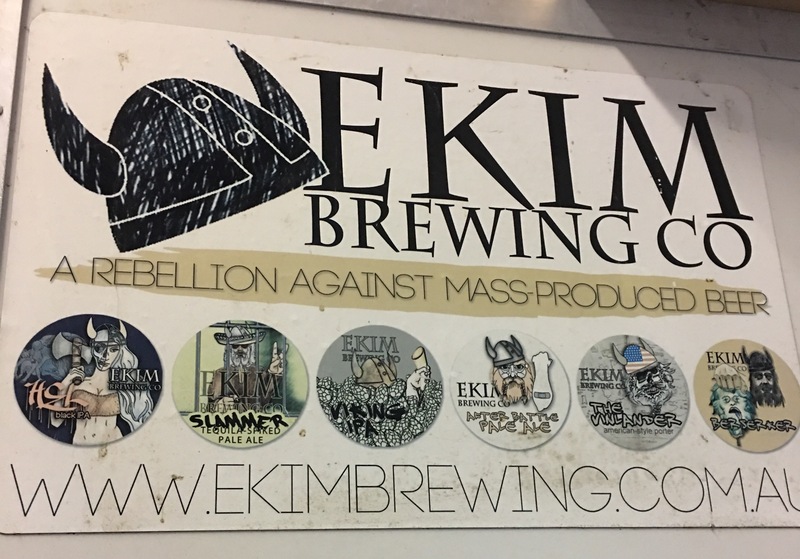 I’ve always loved Ekim’s simple and consistent approach to beer. Plenty of hops, plenty of horns and great beers. The brewery’s name is the founder’s first name in reverse! Mike Jorgensen is proud of his Danish heritage, hence the bellicose Viking themes that run through his logos and beer names. After Battle Pale Ale is very hard to go past when on a tap list. Space is at a premium and a cellar door wasn’t really a consideration I’d imagine at the outset of the brewery. There was still a good little crowd enjoying a few bevvies. There’s the standard cellar door options. 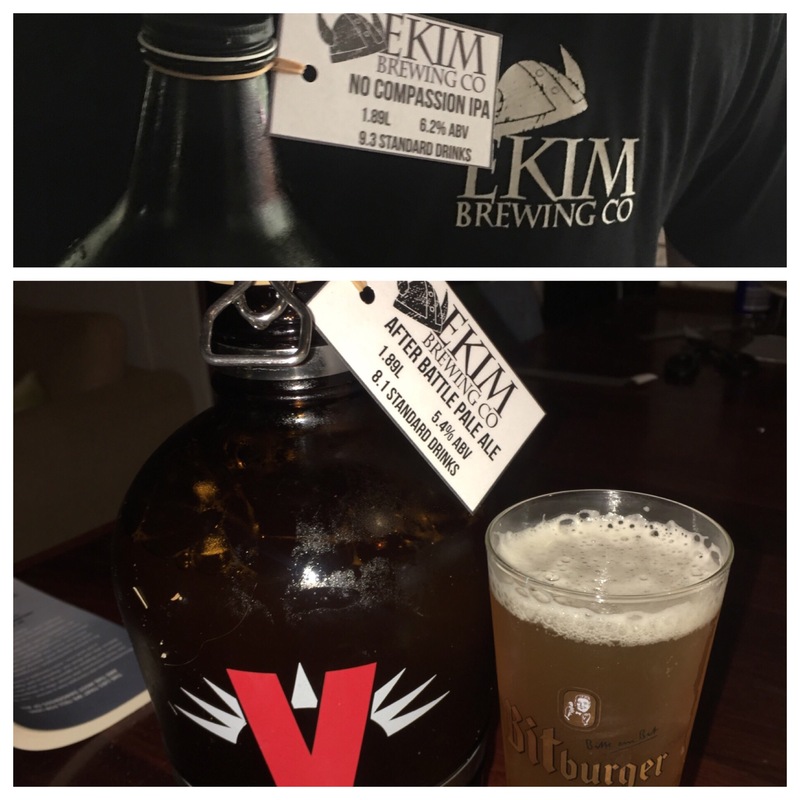 Growler and squealer fills, growlers and squeakers to buy and a single item of merch. You can’t go wrong with a $20 t-shirt (which should be a standard price for a beer t-shirt. I get twitchy at $25 and angry at $30+). Will be calling in again. Check Ekim’s Instagram account for opening hours, there’s been a couple of Saturday openings as well.